Peacocks in Canada are reportedly doing expensive property destruction in an effort to vanquish a loathsome enemy: themselves. At least that’s what human news reports want you to think. CBS reported on Monday that roughly 150 feral peacocks in Surrey, British Columbia have been causing all sort of mayhem in the area, including attacking luxury cars with their beaks. 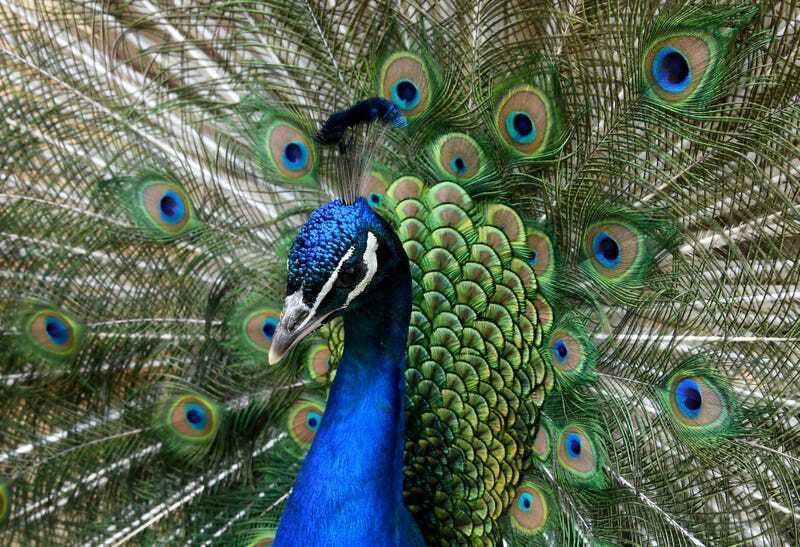 The peacocks are thought to be driven by the reflection of their own image in the shiny automobile facades, which they mistake for other peacocks, and try to fight. Hm yes, that, or the peacocks know exactly what they’re doing. The birds also reportedly bother the residents in many other ways, such as roosting on their residential properties and making loud noises, especially at night. Yes, these peacocks don’t want to piss off the humans at all. They absolutely wouldn’t band together to force the humans out of their cul-de-sacs with their mighty, tessellated wings and incessant shrieks. Nor have they already set about systematically chipping away at the humans’ best chance of escape. Not gonna happen.